I must admit Gin & Tonic is not a drink I fix myself often anymore. There are so many other cocktails and drinks I haven't tried yet, so I will rather spend my "booze budget" on them than the old familiar. And I'm not talking about money, I'm talking about the amount of alcohol I allow myself to drink during a month. If I don't keep a tight budget one drink too easily leads to another and that is rarely a good thing. Gin and Tonic and I have to some extend grown apart - I often find the taste a bit one dimensional. Perhaps because I neglect to mix it with the same care I put into other drinks? 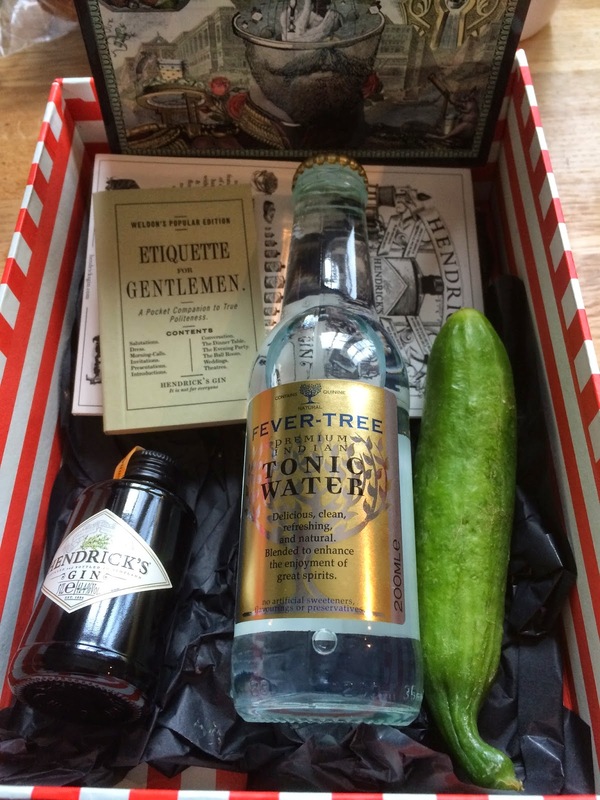 This Wednesday was international Gin and Tonic day however and Hendriks rekindled some of my old love by sending me a very nice little package. I couldn't resist and had a rare mid-week libation. 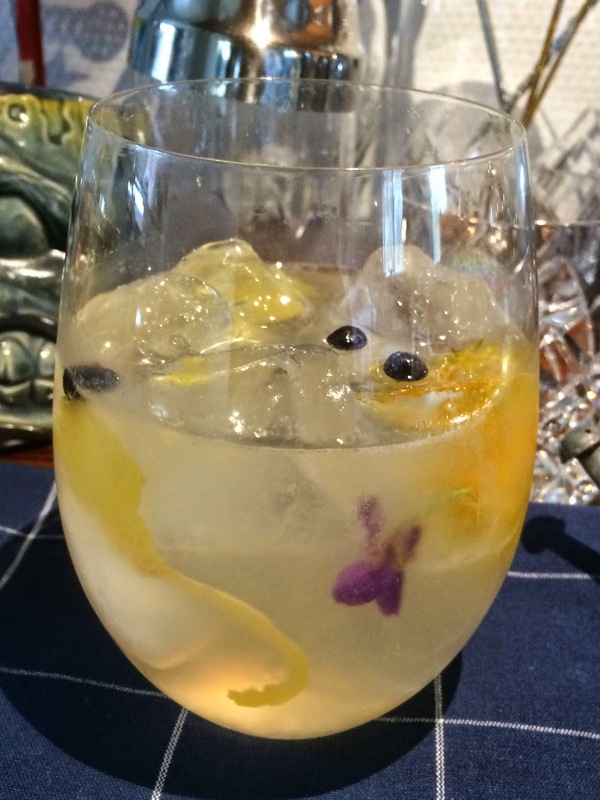 During my gentle gin-buzz I searched the interwebs for some good G&T-videos and found this, that shows how the reigning worlds best bartender Davis Rios mixes a 'gintonic' Spanish style. A video that had me planning a fantasy trip to Barcelona for amazing G&T's, including a visit to 41 Degrees for cocktails and bar foods the Adria way set to music. And since the trips is all in my mind anyway why not visit Heston Blumenthal on the way home and taste one of his cucumber infused gin and tonics? For some mysterious reason (clever product placement by spirits giants who have managed to turn the international gin and tonic day into booze lovers Mother's day, perhaps?) that very same day Gin Foundry's post about the Colonial Gin and Tonic popped up in my twitter-feed and I knew I had to mix it - actually cook it. And what better time to do that than today? I only tweaked it a little tiny bit. Put everything put the tonic in a heavy pot and crush it together with a pestle, add the tonic and cook for 15 minutes on a gently rolling boil. This will reduce the liquid to 0.30 liter - it will be very bitter, and I ended up adding a little simple syrup before I bottled it. I can't tell you how much, I just added a bar spoon at a time until it was to my taste. 6 cl Old English Gin - apart from the fact that I love this gin I figure it's closer to the gin used in the first G&T's. Everything in a shaker with ice and shake hard. Then I have two suggestions: Either strain into a icy cold stem glass - (use the winning method at the bottom of this post for quick cooling (and to find use for any cheap vodka in your bar)). Or - and this is the path I chose - strain into a glass full of ice and some garnish - and top it off with a bit of Pellegrino Tonic Water for fizz and tonic balance. Finally go here and stare at a must have G&T drinking vessel. How are you storing the reduction and how long do you think it will last? I am storing it in a bottle in my fridge and I think it will last for at least a month - but I will have used it up long before, as it is really good with just fizzy water added as a refresher.